Jessica Ennis, Novak Djokovic, Usain Bolt, Rich Froning, Michael Jordan, Zoe Pablo Smith… these are all athletes at the top of their game. They have become household names, they are admired and idolised by people of all ages, and they even have cameos on TV adverts. And I am a firm believer that these, and other athletes, are the best people IN THE WORLD. - They take their training seriously. - They take their nutrition habits even more seriously. - They understand the importance of sleep. - They listen to advice from trusted professionals, whether it's their coach, physio, osteo, or doctor. - They challenge themselves regularly and push themselves often. - They understand that progress takes time, dedication, and sacrifice. - Their commitment to achieving their goals and aspirations makes them a great role model to their friends, family and people around them. I think that’s pretty good support for my statement. Do you agree? Of course you do. Ready to take this whole “Athletes are Amazeballs” thing one step further? Have you ever done one of those obstacle course races, just for fun? What about going to the gym whether it's for CrossFit, spin class, yoga or Pilates? Did you play on any recreational sports teams when you were a teenager? Did you play tag when you were a kid? Guess what?! You're an athlete! That's right, you don't need to be sponsored by Nike or have won the CrossFit games to be considered an athlete. You just need to do slightly more than your body's basic functions (breathing, eating, pooing) and you're an athlete. As the old CrossFit adage says, your needs differ by degree not type. Now it's time to start acting like one…. They take their training seriously. I'm not saying you have to train 6 hours a day, and forego all human contact during your sessions, but as an athlete, you should aim to be consistent with your training and, when you're at the box, give it your best effort for that day. They take their nutrition habits even more seriously. Again, I'm not expecting you to count your calories down to the last macro and have your carb intake timed to the very second, but I do expect you to understand that as an athlete, your body needs fuel. Give it the good stuff, and give it enough of what it needs. They understand the importance of sleep. All too often, our members come to us wanting advice on how they can best improve their strength, their conditioning, and the way they look naked. All too often, these people who are so concerned with their ‘fitness’ haven’t taken a good look at their sleep schedule. We have written many blogs and emails about how important getting at least 8 hours of sleep every night is. So do it! They listen to advice from trusted professionals, whether it's their coach, physio, osteo, or doctor. 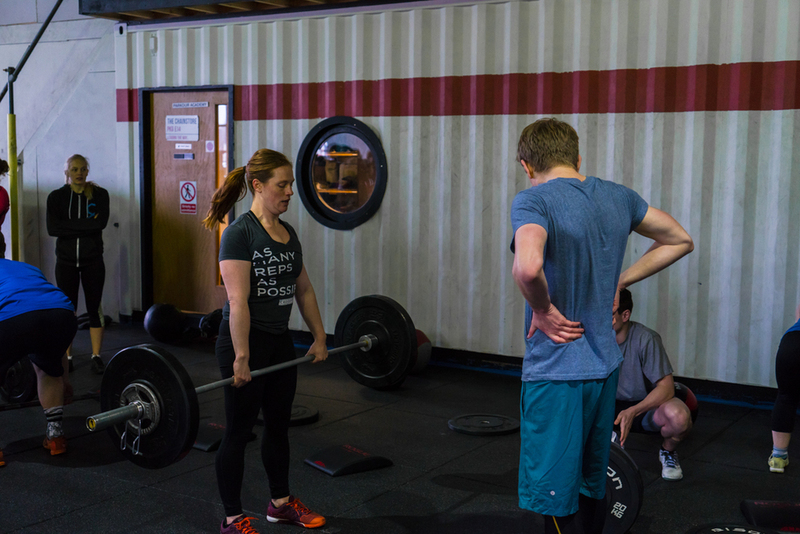 When your coach tells you to lift 80% of your 1RM back squat, do you go for 80% or disregard the percentage completely and put whatever you want on the bar? What about when your coach tells you to slow down and think about your positioning, or add a tempo to your lift? Do you slow down, or are you more worried about getting a fast time? What about when your physio gives you pre-hab/re-hab exercises to do 3 times a week - do you do them? The top athletes are top athletes because they acknowledged that everyone, no matter how good they are at their sport, needs advice and support from professionals, from someone who can see the bigger picture. So, make sure you’re listening to the professionals around you, taking their advice and feedback on board, and acting on it. They challenge themselves regularly and push themselves often. Professional athletes know that they will never achieve their goals by staying inside their comfort zone. As the great Muhammad Ali said, “He who is not courageous enough to take risks will accomplish nothing in life.” Not sure if you could hold on to your 2K pace for the workout? Comfortable with the 12 kg kettlebell, even though the workout calls for a 16 kg? No one ever won Wimbledon by giving 85% of their best effort. Challenge yourself to hold on for that extra rep, fight to finish those extra few seconds faster. You’ll be amazed at what your body is actually capable of. They understand that progress takes time, dedication, and sacrifice. It is a rare occasion when an athlete comes in to a sport and, after playing for one season, is at the top of the tables, winning competitions and smashing records. The CrossFit Games recently posted an interesting statistic about Games athlete Sara Sigmundsdottir… In 2013, she could not complete the first event at the European Regionals (an ascending ladder of 3 OHS) and was cut from the competition. In 2014, she made it back to Regionals, scored three top-ten finishes and finished 12th overall. In 2015, she absolutely smashed Regionals, never finishing outside of the top 10 and placed third overall, earning herself a spot to the Games. Do you know how many years Ben Smith went to the Games before he won it? SIX TIMES. These incredible athletes didn’t quit because they failed at their first attempt. Quite the contrary, they knew that to be where they wanted to, they would have to put in the time and make the sacrifices. Just like these top athletes, if you want to achieve your goals - whether they’re purely aesthetic, competition-driven, or just feeling fit and healthy - you’ll need to dedicate yourself to your pursuits and potentially sacrifice that late night ice cream binge. But trust me, you’ll be better for it in the long run! Their commitment to achieving their goals and aspirations makes them a great role model to their friends, family and people around them. It goes without saying that the top athletes in any professional sport are role models for many different people. But did you ever think that the life changes you are making are also affecting the people around you? You might not have your photo on the front of a box of Wheaties (yet!) and your friends might not have your poster on their bedroom walls, but your commitment to your heath and wellbeing is proving to your co-workers that leading a healthy lifestyle while balancing work and family responsibilities is actually do-able. 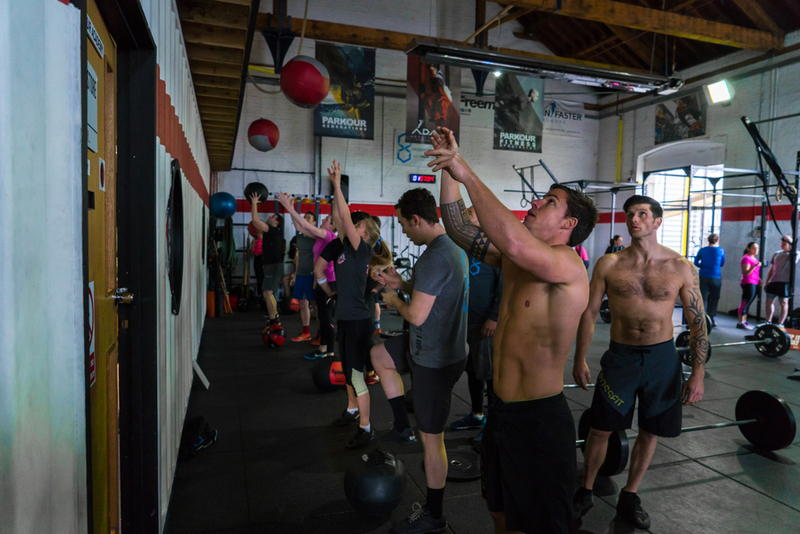 You might have inspired your Facebook friends, who saw a photo of you from a workout, to give CrossFit a go as well. And you’re showing your kids it’s important to be active, to support others, and to push yourself. So, there you have it, my incredible athletes. Go forth and smash it! Newer Post07 May 2016 – All. The. Thrusters. Older Post05 May 2016 - "Moore"